Providing you the best range of cholesterol control capsules, liver care capsules, piles capsules, digestive care capsule and brain tonic capsule with effective & timely delivery. Cholesterol - a white, waxy substance found in the blood plasma - is essential to life. However overly high cholesterol levels can have serious health implications on the cardiovascular system and can be an indicator of increased risk of heart attack and/or stroke. Garlic has been reputed to assist the heart for centuries and has been used in herbal medicines for all manner of conditions. Garlic & cholesterol reduction are frequently mentioned together. In modern medical science, Garlic is a proven anti-oxidant. This property help to lower cholesterol build-up that clogs the arteries . The Symptom Seen are actually from the end-result of high cholesterol for health issue such as Coronary disease , stroke, and peripheral vascular disease. The primary symptom associated with it , is chest pain. In addition to the reported pressure, other symptoms can include nausea , shortness of breath, sweating, lightheadness or dizziness, and heart palpitation. The sudden onset of numbness or weakness of face, arm or leg, especially on one side of the body. Sudden trouble in the vision of one or both eyes. Dizziness , loss of balance, lack of coordination. Numbness and/or tingling in the lower extremities. A cold sensation in the lower extremities. Open sores of ulcer on the lower extremities that do not heal normally. Lipicare helps manage the cholesterol synthesis in the body. 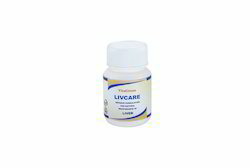 Lipicare limits the absorption of cholesterol by the body. Lipicare helps prevents heart diseases , like heart attack. 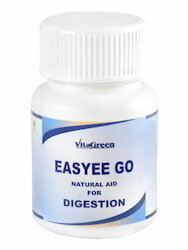 Improves the role of liver, which helps to expel unwanted excess cholesterol as waste. Break up the body cholesterol and free up the arteries. It dissolves the collected cholesterol from the arteries in to the blood stream and than the kidney removes it. 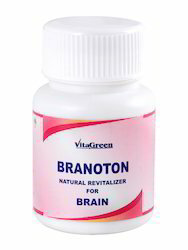 It acts as anti oxidant and help the blood vessels to regain or preserve the elasticity of blood vessels . 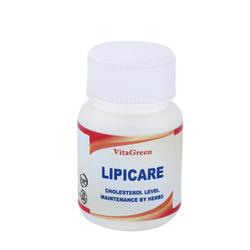 Lipicare drops in LDL(BAD) cholesterol level, as well as triglyceride and total cholesterol. 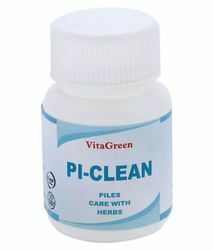 PiClean Capsules have laxative and astringent action that relive constipation and shrink blood vessels. So it relieves primary symptoms of bleeding and pain. PiClean Capsules help in maintaining healthy digestive functions and easy evacuation. It is useful in both external and internal piles and also in constipation related problems. In both types of piles. Relieves pain, soothes and comforts. It relieve pain and swelling, control bleeding, help to shrink the pile mass. It has anti-inflammatory and analgesic properties which relive pain and swelling. It also has antihistaminic, wound-healing, antimicrobial, hemostatic, laxative, and antioxidant. actions that act synergistically to reduce varicosities of the venous plexus. It having soothing action facilitates the smooth evacuation of feces.